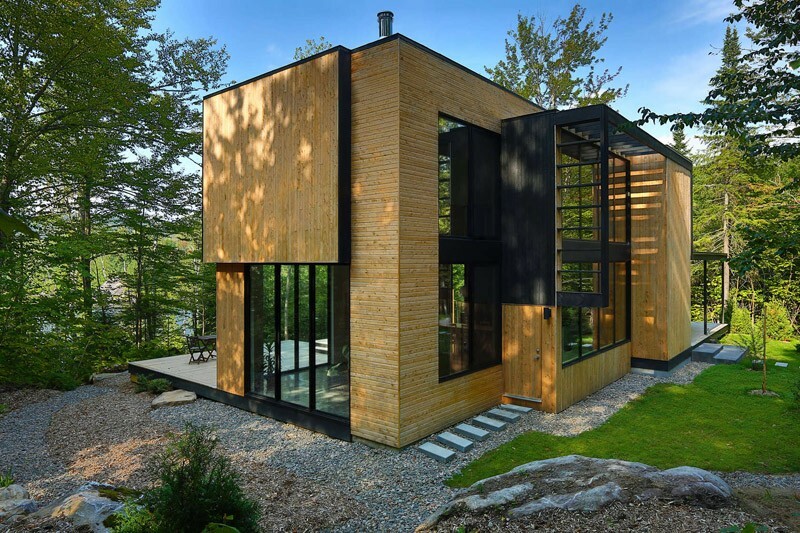 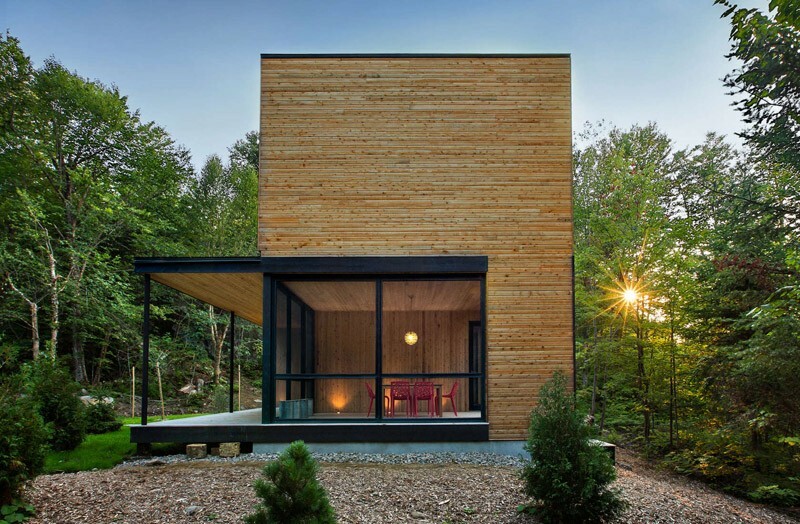 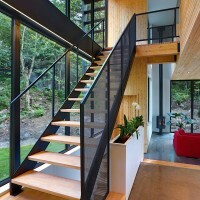 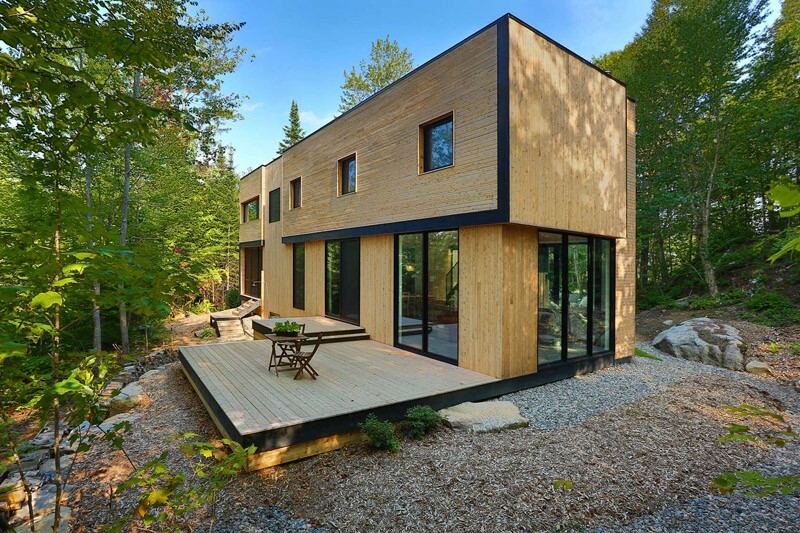 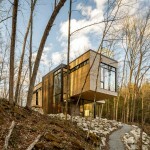 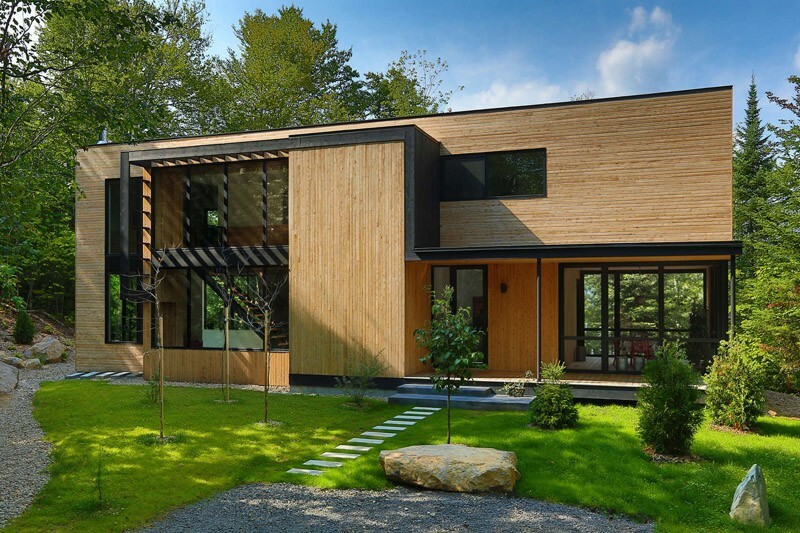 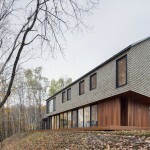 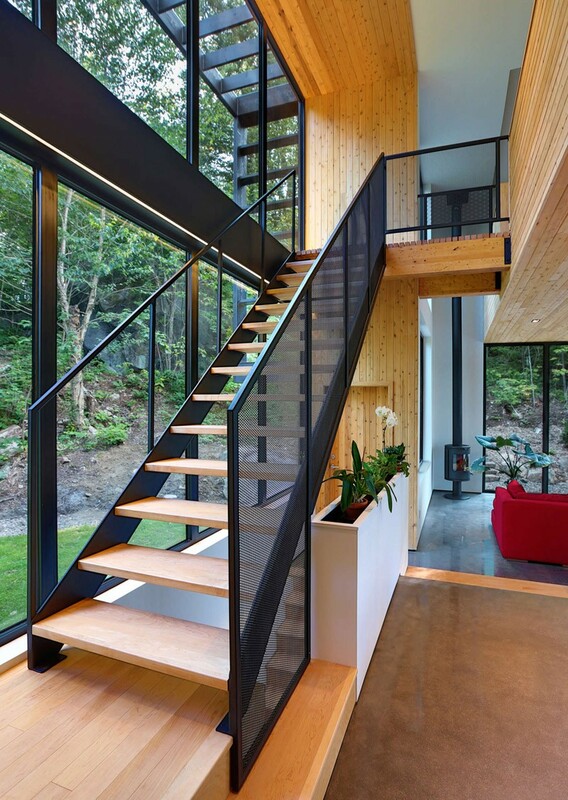 Thellend Fortin Architects designed this home surrounded by the Laurentian forest near Montreal, Canada. 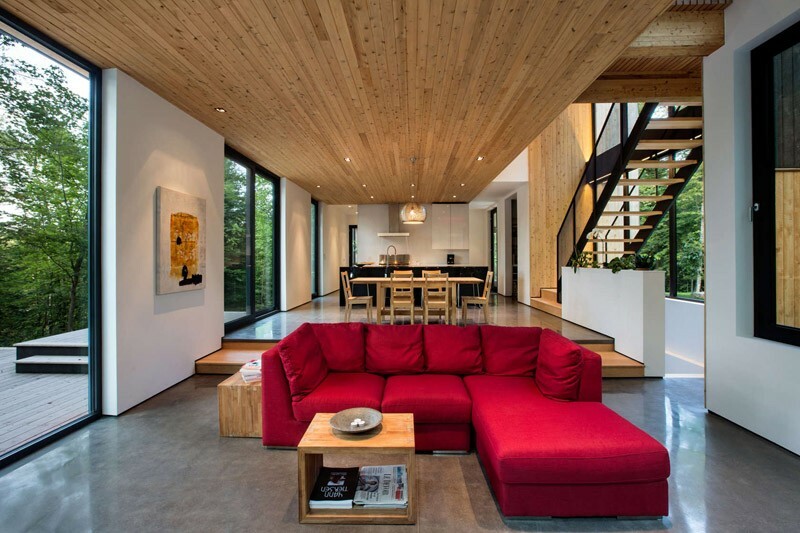 The plan was developed to incorporate generous window openings and to imbue the living spaces with the same natural textures, including the mineral-inspired concrete floor and the eastern white cedar laths on the ceiling. 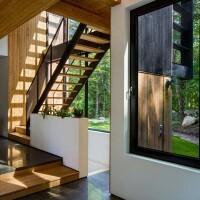 With nature present at the very heart of the project, the spaces transform in accordance with the seasons.